The children may write the name of the picture they draw on the shaded line at the bottom of this blank square paper. 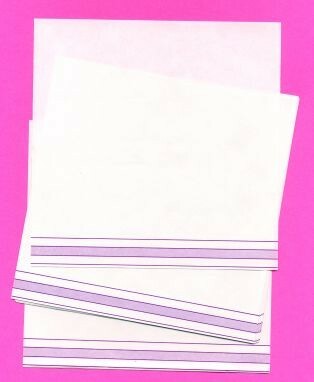 Square blanks with one purple shaded line are sold in reams (500-pieces). The shaded lines are the same size as our standard cursive composition paper.